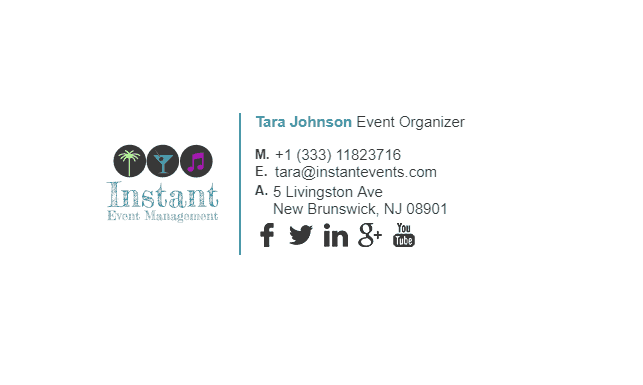 Event organizers have a similar job to wedding planners however, they cater for all sorts of events. Organizing an event can be a tiresome job which takes a lot of communicating with other parties to ensure that everything goes smoothly for the customer. 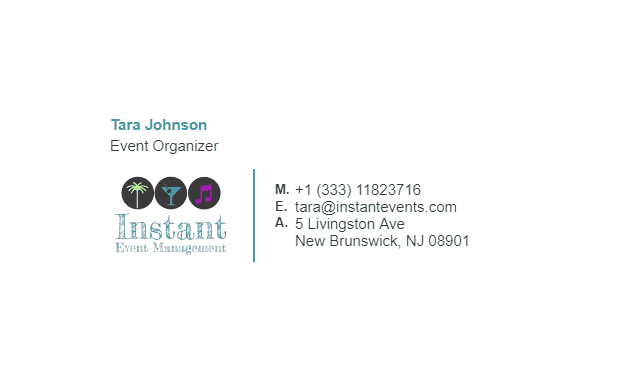 An event organizer will typically email venues, bands, catering companies, photographers, restaurants and many others to organize an event. 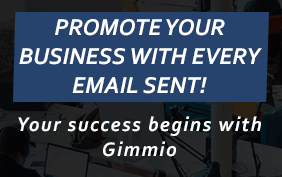 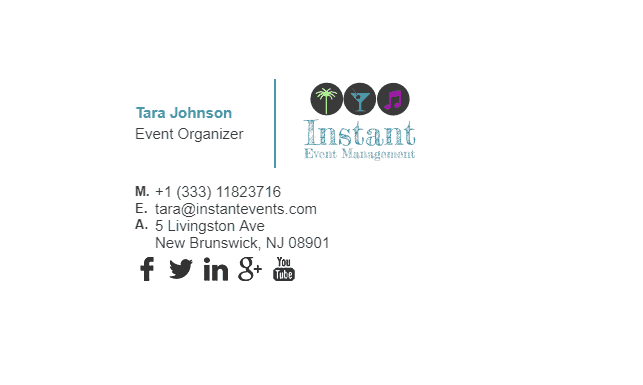 Having an email signature as an event organizer will pay off in the long run as you can showcase the previous events that you have organized and this helps your customer feel comfortable with your services. Check out our event organizers email signature examples below. 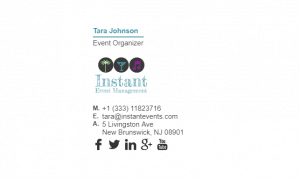 What Should Be Included in an Event Organizers Email Signature?